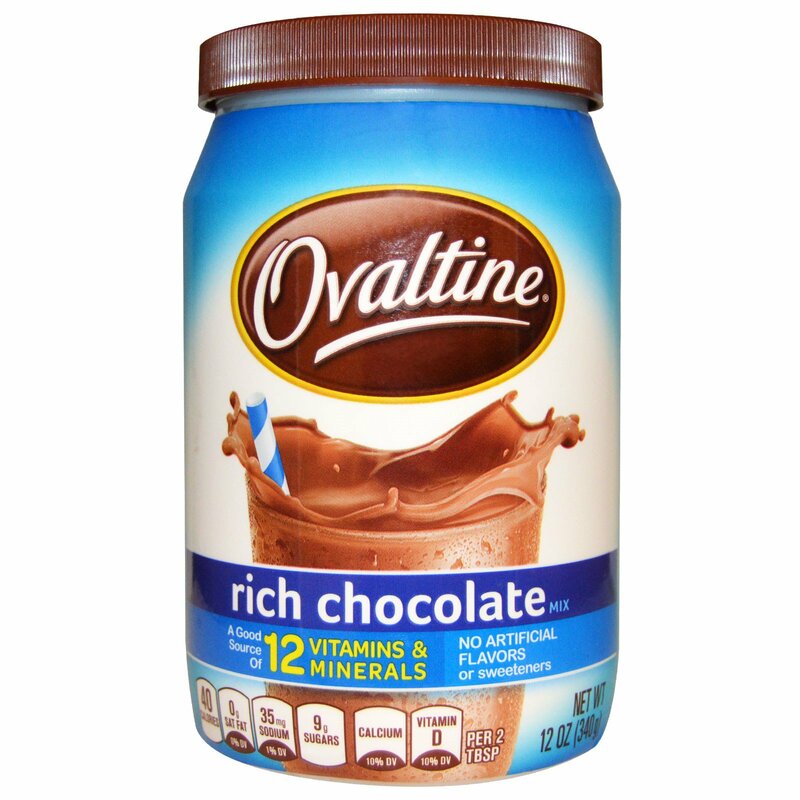 How can Rich Chocolate Ovaltine taste great and be good for you? Rich Chocolate Ovaltine also makes a great addition to smoothies, baked goods or sprinkled over ice cream for a chocolatey dessert! *Sugar content is for products as sold. 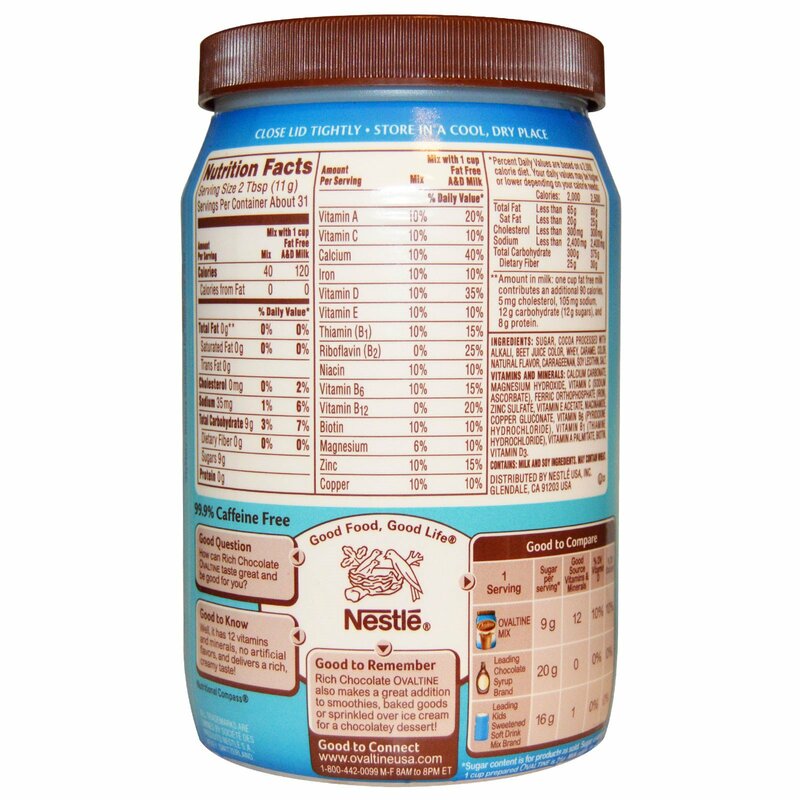 Sugar content per 1 cup prepared Ovaltine is 21 g, Milk adds 12 g sugar. Heat 8 oz milk in microwave-safe mug for 1-1/2 minutes or until warm (avoid overheating milk). Add 2 Tbsp Ovaltine. Stir well. Sugar, cocoa processed with alkali, beet juice color, caramel color, whey, natural flavor, salt, carrageenan, soy lecithin.